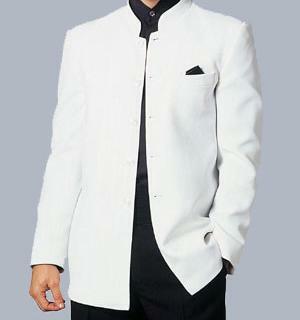 The Nehru Jacket was one element of Indian dress that penetrated western dress. 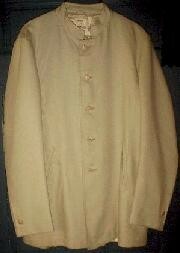 This style of jacket was single breasted and slightly fitted with a band collar. It was based on a traditional Indian jacket and named after the Indian Prime Minister Jawaharlal Nehru because he commonly wore this traditional garment. This jacket was worn as an alternative to the suit jacket. For some, particularly when worn with beads, it represented a mid-point between conformity and the hippie. 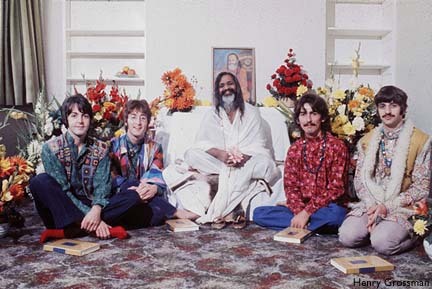 The Nehru jacket became popular between 1966 and 1968, around the time of the Beatles' trip to India to visit the Maharashi Mahesh Yogi (Baines, 1981; Tortora & Eubank, 1994). 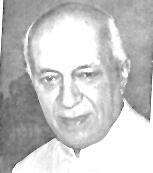 It all began with Jawaharlal Nehru (1889-1964) whom was the first Prime Minister of independent India.